Style Name:Pro Accuracy with Alarms Know your indoor environment. With anAcuRite pro accuracy indoor temperature and humidity monitor with alarms, youget reliable Information that can help you ensure a comfortable living space,and better air quality, all while taking steps to preserve your home'sinterior and valuable possessions. The digital thermometer and humidity gaugecombination offers pro-level accuracy, measures conditions every 10 secondsand features an easy-to-read digital display. 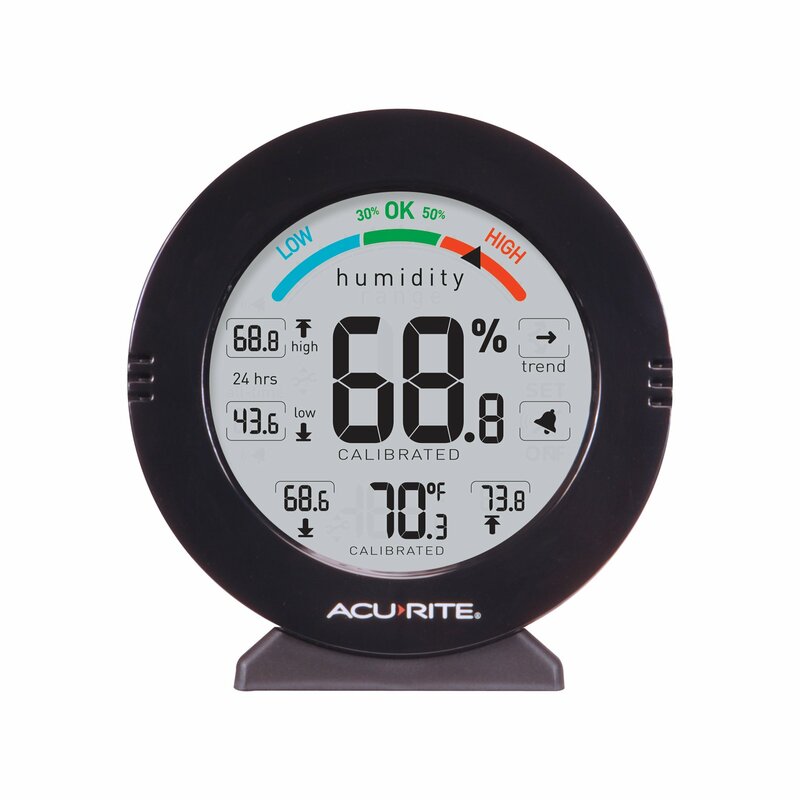 Includes a customizable,programmable high and low humidity alarm, and records daily and all-time highsand lows that can tell you if conditions exceed your desired ranges. A handyhumidity meter tells you, at-a-glance, if your indoor humidity level is withina safe range. Compact, easy to use, and offering a variety of mountingoptions, it's a must-have for any home or office.